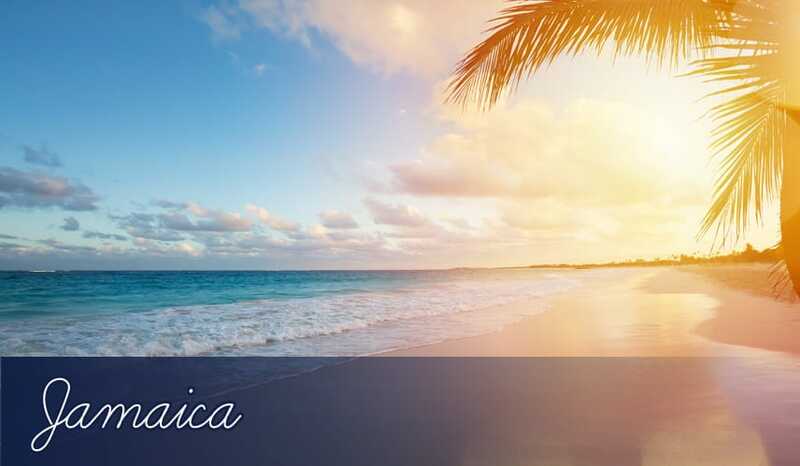 As one of the most well known islands in the Caribbean, Jamaica has certainly made a name for itself over the years thanks to its beautiful scenery, gorgeous white sand beaches, clear warm waters, welcoming atmosphere and huge selection of activities to take part it. It’s the ideal Caribbean destination, as it offers something for everyone whether you’re thinking of having a relaxing holiday by yourself or a fun filled time with the whole family. Best of all the temperature barely changes from season to season. If you decide to visit during the summer months, you can expect average highs of 30 degrees Celsius and in the heart of winter you can enjoy the comfort of average highs of 28 degrees Celsius. If you’re visiting the coast you will have a slight breeze, which will help to keep you cool making your sun tanning sessions so much more bearable. When it comes to resorts, you will no doubt find it hard to choose which one to visit but thanks to the islands size, you will be able to travel from one resort to the other relatively easily. On the northern coast of the island is Ocho Rios, a popular resort, which was once a fishing village. It has numerous claims to fame, one being that it was a location used in the popular James Bond film Dr No. The beaches consist of coral soft sand and there are some unique attractions close by including Christopher Columbus Park, which is said to be the location the famous explorer first landed on Jamaica. Dunn’s River Falls are also nearby, which are a must see if you love natural formations. As one of the largest cities on the island, Montego Bay is a great place to spend your Jamaica holiday. There are many sandy beaches nearby offering plenty of space where you can either sunbathe or have fun in the water and enjoy the water activities. Diving is also a popular past time here thanks to the clear water and beautiful sights to be seen beneath the surface. If you love to socialise amidst city life then head downtown. The centre of the city is bustling, as the locals go about their day-to-day business. If all you want is to relax on fine soft sand beaches then the resort of Negril on Jamaica’s most western point is for you. Because of the western location you can experience some of the best sunsets to be seen anywhere around the coast, so if you’re planning a romantic break to the Caribbean, why not choose this great resort. There is also over seven miles of beaches, which is one of the reasons it’s so popular and no matter how busy it gets you’ll never have trouble securing yourself a good spot. Snorkelling is very popular here and so are the boat rides, which are highly recommended. If you’ve always wanted to enjoy a sunny holiday in Jamaica, check out the superb resorts below and find out more about this amazing destination.